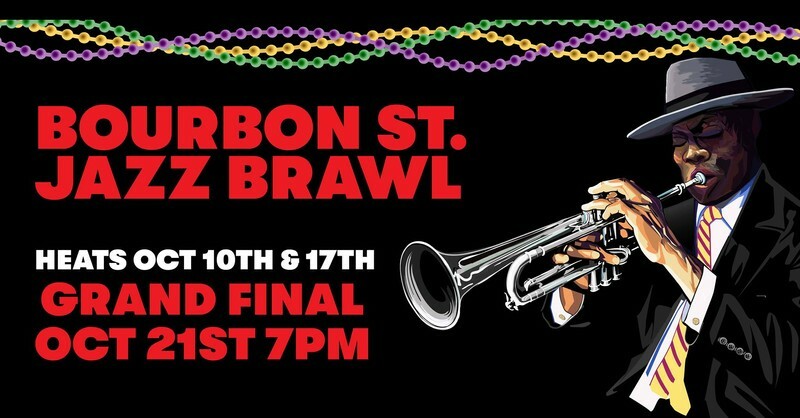 Fat Eddie’s presents his first ever Bourbon Street Jazz Brawl! Watch Christchurch’s best Jazz bands battle it out for bragging rights and a share of $5000K cash! Heats Wednesday October 10th and 17th 7pm. Grand final October 21st 7pm. Not your regular battle of the bands but a fun, inclusive jam session, showcasing the improvisational skills and performance flair of Christchurch’s top jazz musicians. Celebrating my personal favourite - the music of New Orleans, the bands will play short sets to impress both crowd and professional judges.